Purpose: A joint project between Public Health Institute-Sudan, World Health Organization (WHO) and Global Fund was launched to investigate the increasing unwillingness of Human Resources for Health(HRH) to work in rural areas. 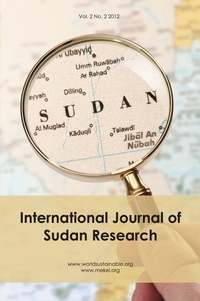 This study is part of that project and aims to explore educational HRH attraction/retention initiatives in Sudan. Design: In-depth case study for (Curricula reflecting rural health) in four universities, outside capital Khartoum (Al-Jazeera, Al-Fashir, Wadi Al-Neel and Red Sea), interviewing students and policy makers. Findings: Participants highlighted the initiative’s orientation role to health delivery in rural settings. Policymakers emphasised initiative’s positive effect on HRH attraction to rural settings. Students felt it moderately affected their future work choice. Originality/Value: In Sudan, these initiatives are not designed for attraction purposes and there is little involvement of health authorities. Strengthening of communication between sectors is greatly needed. Anoud R. Omer is a Community Medicine Specialist with specialised training in health policy and planning and interest in health education and research. Muna I. Abdel Aziz is a Consultant in Public Health in Warrington Council, where she leads on health protection, governance and intelligence.